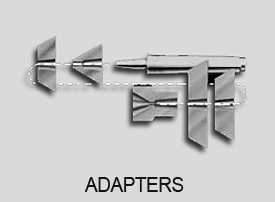 Concentric pioneered and patented the streamlined low-profile design of high-precision spring-loaded Live Centers. Smaller turning radius allows higher RPM’s with lower bearing speeds. Spring-loaded spindle compensates for work expansion or contraction; maintains constant tailstock thrust; eliminates jamming. Needle bearing distributes stress for up to 5500 pounds radial load capacity, extend life 2 to 3 times that of conventional live centers, and provide turing accuracy up to 0.0002″. Concentric introduced the now universally accepted design that offers less overhang, lower bearing and periphery speeds, plus automatic thrust adjustment and compensation for workpiece “growth” or shrinkage with protection from jamming. 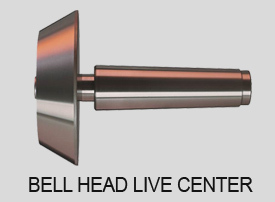 You Can Depend on Concentric Live Centers. 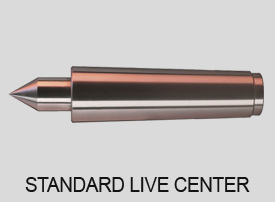 If you want long life and precision performance, order Concentric Live Centers, manufactured by Riten Industries, Inc.
Riten Industries is the world's largest manufacturer of live centers and dead centers, face drivers and engineered workholding products.